To President Donald Trump, it was an awkward slip of the lip. To Apple CEO Tim Cook, it was an opportunity to poke some sly fun at a president who has often clashed with the tech industry. A day after Trump mistakenly referred to Cook at a White House meeting as "Tim Apple" — an understandable slip, perhaps, coming from the owner of the Trump Organization — Cook quietly altered his Twitter profile , replacing his last name with the Apple logo. Cook didn't publicly acknowledge the change, but it didn't take long for Apple fans to notice and spread the word. That's not wholly surprising for Apple, which famously prefers its own devices and software over others. Apple didn't respond to a query about the logo misstep (if indeed it was a misstep). The White House, meanwhile, appears to be engaged in some damage control. 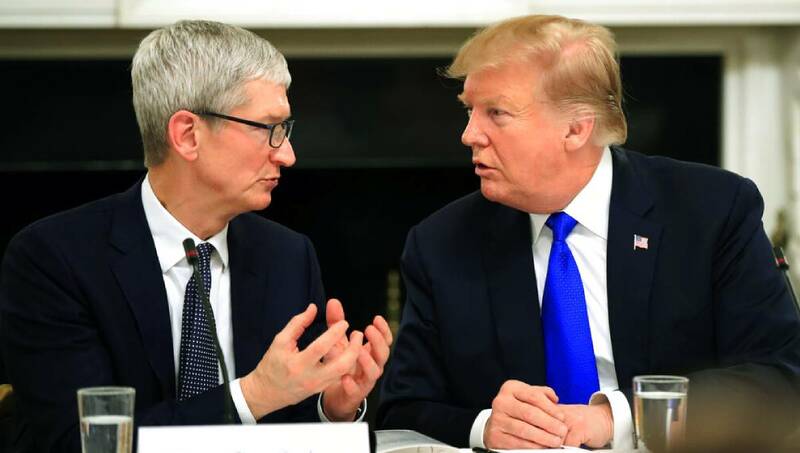 In the official transcript of the meeting , the words "Tim" and "Apple" are separated by a dash as if Trump had paused, possibly to thank both the executive and the company.